One of Mayor Harper’s promises in taking over City Hall, along with completing the Owens Valley aqueduct and building a library, is to purify the city’s billboards. 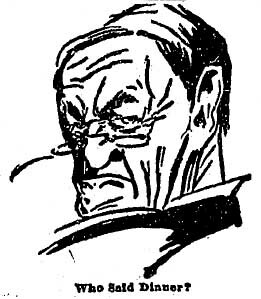 Although the City Council presented him with a new billboard law in March 1907, Harper vetoed the measure because it was too lax, despite lobbying by companies that said tighter laws would affect 300 sign painters and other workers. In June, the Municipal League mounted a contest for photos of the ugliest spots in Los Angeles and entries featured billboards, dirty alleys and unkempt vacant lots. (The worst eyesore was the lot at 7th Street and South Spring occupied by the Los Angeles Express). “Many other places where neighborhoods are subjected to unnecessary and shocking disfigurement were found by the camera, including vacant lots, hideous displays of billboards, tottering shacks and other monstrosities,” The Times said. In late June, the city passed a new billboard ordinance that imposed a sliding scale for license fees and a quarterly tax on billboards of 0.25 of a cent for every square foot. Varney and Green, one of the city’s larger billboard companies, brought a suit against the measure, charging that it was discriminatory and would put the firm out of business. 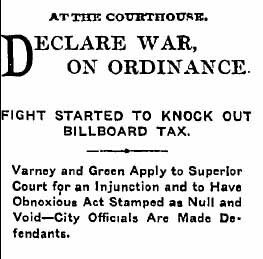 The billboard law was upheld in court in December 1907. 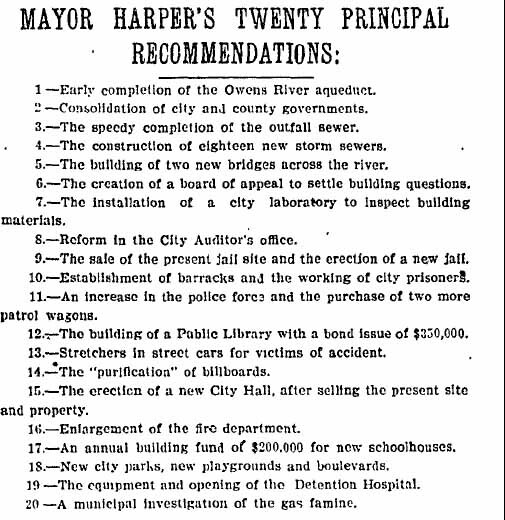 Above, Mayor Harper’s goals for his administration. Note especially item No. 11--more police officers--and item No. 17: new schools.